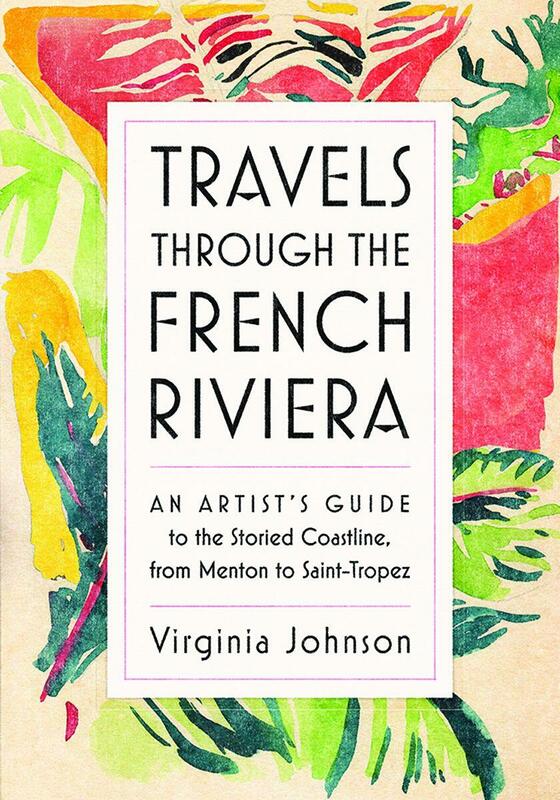 Whether you have been to the French Riviera countless times or have always dreamed of the place, Virginia Johnson’s “Travels Through the French Riviera” is an insider’s guide from an artist’s perspective. 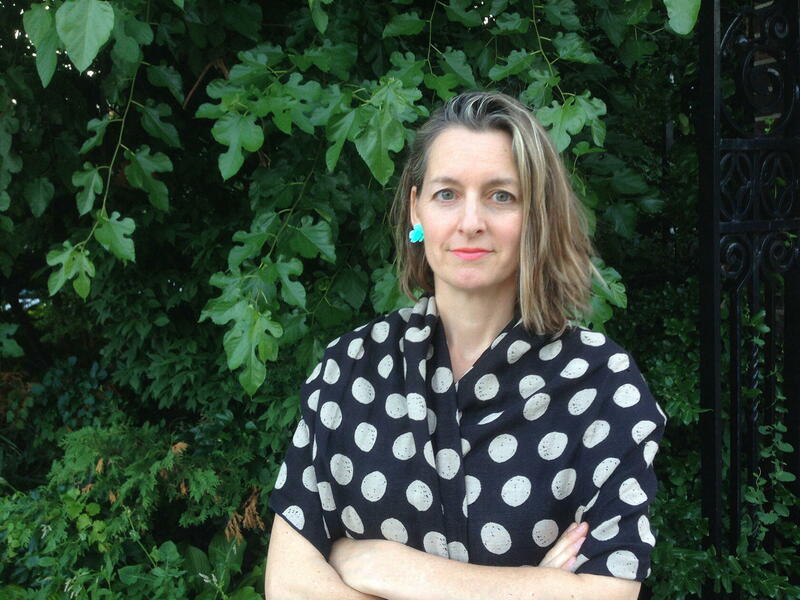 Johnson is a Canadian designer and illustrator, and her book is a compilation of many years of exploration along the Côte d’Azur with her sketchbook and paintbrushes. Throughout the book, Johnson takes you on a colourful, image-filled journey to famous coastal towns, hilltop villages and even her favourite beach. After visiting the Côte d’Azur at least, a dozen times since the age of sixteen Johnson decided to write a book. 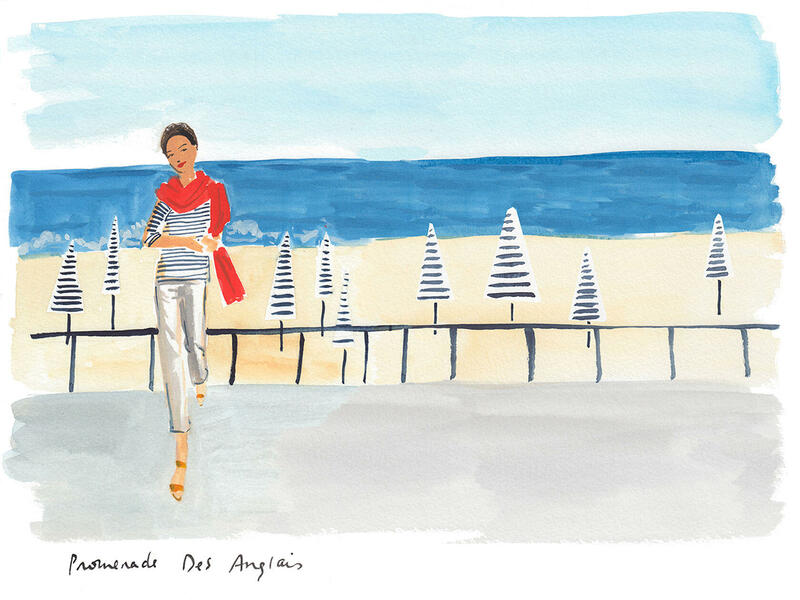 Although the book was only published in 2018, it is clear that the Mediterranean colour palette established itself in her memory long ago. This project took about three years to complete in collaboration with her publisher Artisan Books. 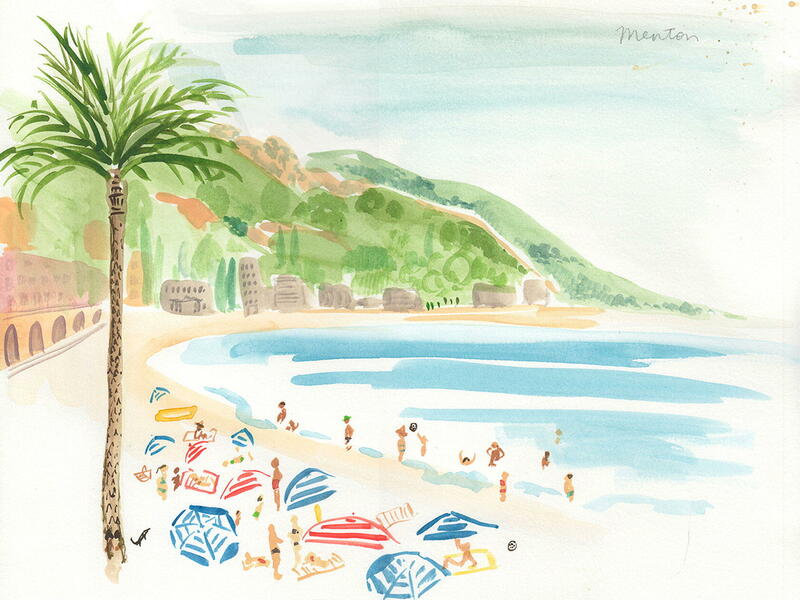 To write, paint and sketch “Travels Through the French Riviera” Johnson returned to the Côte d’Azur with a map, a rental car, and a selection of paints. 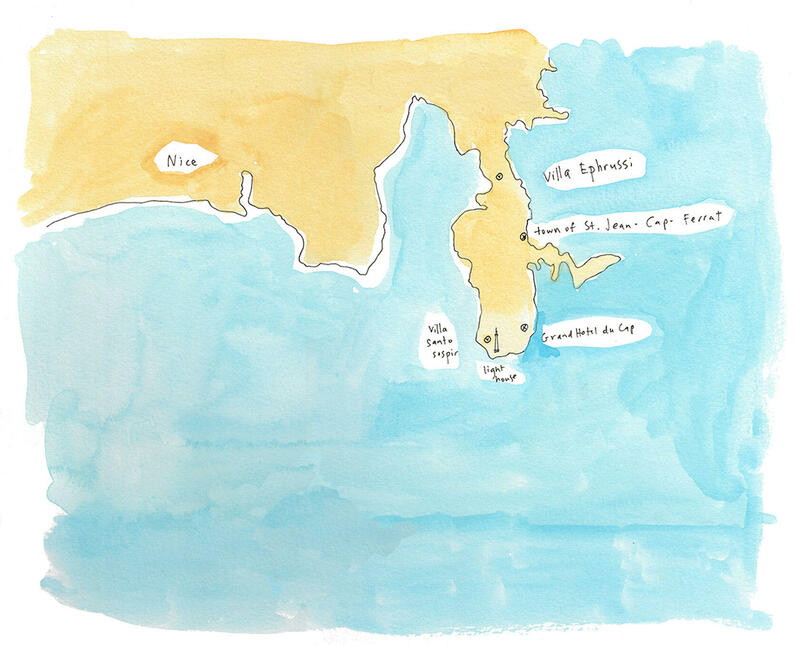 Throughout the pages, she retraces previous stops in a meandering route along the coast. The journey is neither a travel log nor memoir, but rather an inspiring collection of thoughts matched with the Mediterranean hues from Menton to Brigitte Bardot’s St Tropez. If you love pretty things and practical travel tips, then “Travels Through the French Riviera” is a book you need to add to your collection. Johnson’s storytelling and imagery will help you to navigate Nice’s old town and discover the best pastry chef in Antibes. On the cultural side, she explores the Picasso Museum (Antibes), and the Henri Matisse stained-glass windows in the Chapel of the Rosary in Vence. All that before her shopping tips and ideas on where to eat! Of all the places you mention in Travels Through the French Riviera, do you have a favourite? My favourite place in the book would have to be Villa Santo Sospir. 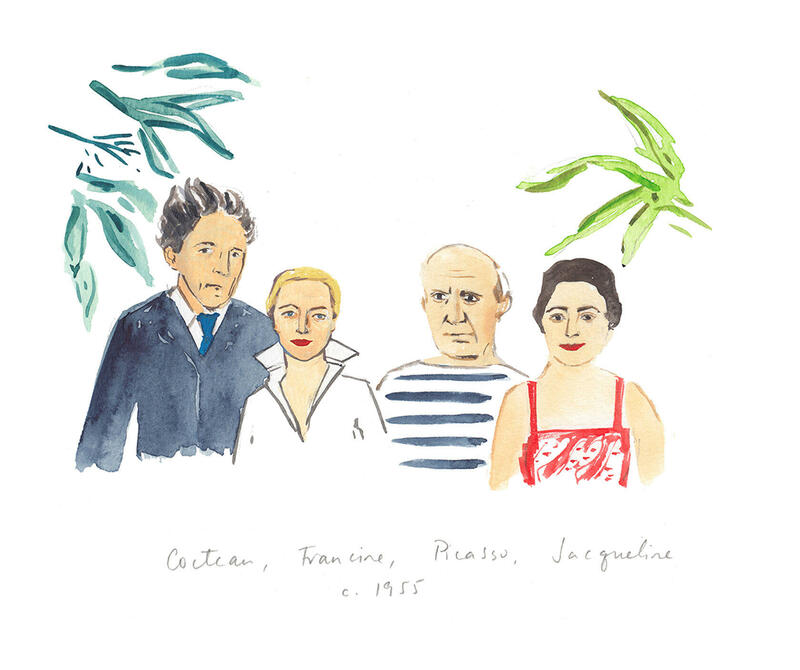 It’s the villa where Cocteau lived for a decade in the 1950s and where he painted murals all over the walls. It was owned by a wealthy socialite for 70 years and decorated by the famous French decorator Madeleine Castaing. It’s a charming, exuberant, stylish but relaxed family home on the very tip of Saint Jean Cap Ferrat, full of textiles and patterns and sentimental objects. It was sold a year ago to another family and will reopen in 2020 after a renovation. The book can be purchased online most booksellers such as Amazon and Indigo. In Ontario, at Type Books in Toronto and A Different Drummer Books in Burlington. 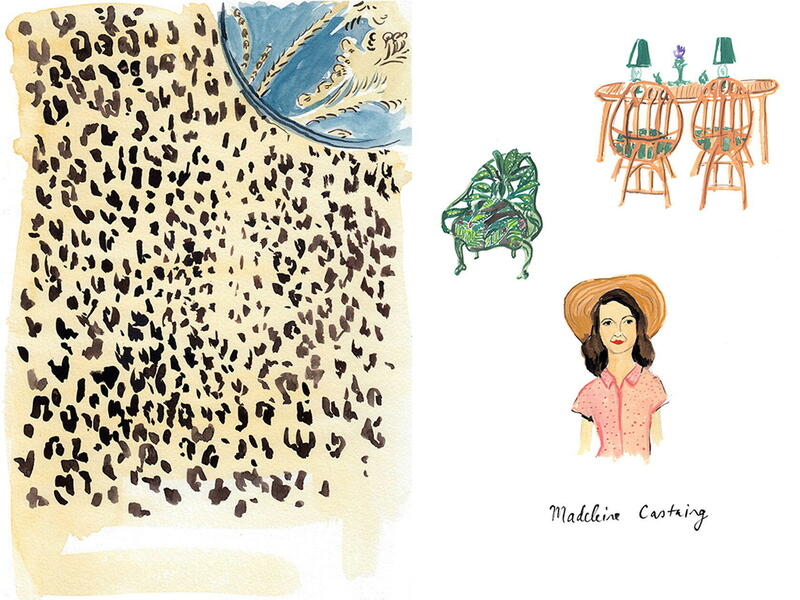 New York: it’s sold at John Derian Company (design and décor) and the lovely Idlewild Books in Manhattan and Brooklyn. 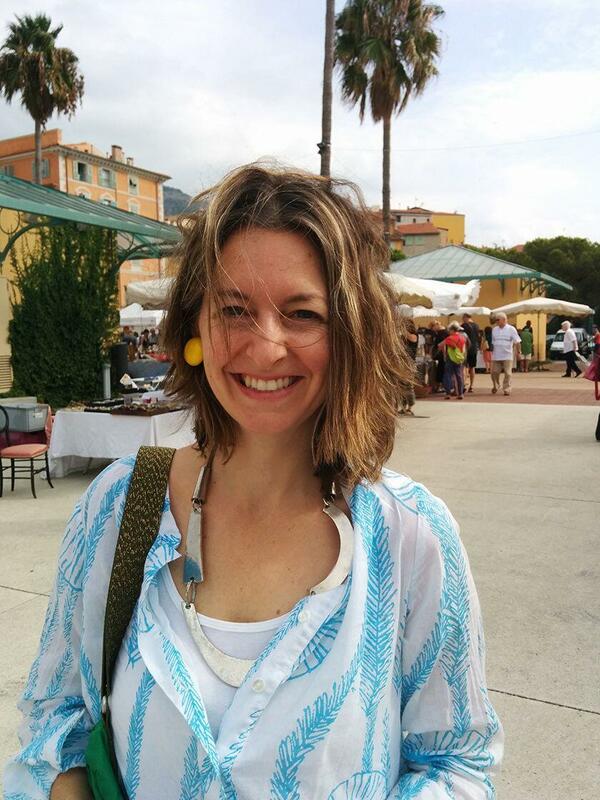 France: it’s available at Antibes Books and Charvin, the art store, in Nice. 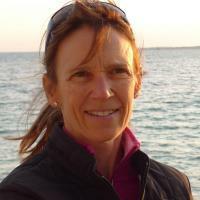 Virginia Johnson is a Canadian textile designer and artist. 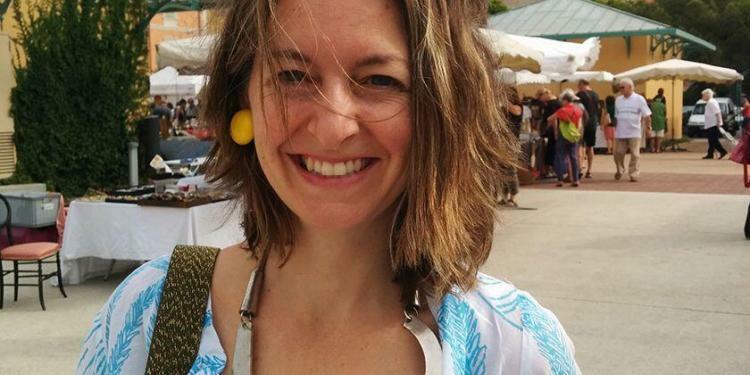 She returned to Toronto, Ontario after challenging her artistic skills in New York City for seven years. After graduating from New York’s Parsons School of Design, she worked as a design assistant at Helmut Lang and as an illustrator for Kate Spade. However, it was a Saturday workshop on screen printing that changed the course of her artistic career. Johnson has designed textile prints for major brand names including J. Crew, Hudson’s Bay, Anthropologie and Barneys. Some of her clothing designs are in the permanent collections of the Textile Department at Toronto’s Royal Ontario Museum. Is there one collection/project that you feel is most reflective of your style? That’s a hard one! I love seeing my textiles end up on products, so it’s always rewarding to do a collaboration with another company and to have the cross-pollination of ideas. Working with Anthropologie they usually have a specific direction they want, and they articulate it so well, whether in the form of a colour palette or mood or travel images, and I can use that as a springboard for my ideas. I also love being commissioned to do illustrations for books, such as Deborah Needleman’s “The Perfectly Imperfect Home.” When I’m on the same page as the author or the creative director, it really makes the project a lot of fun. 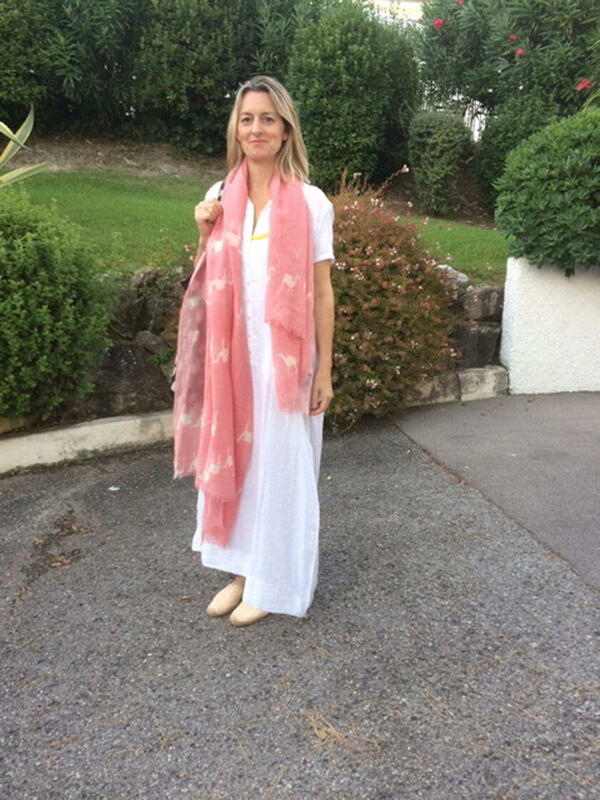 Discover her designer shawls on Virginia Johnson’s online boutique. Make your purchase before December 15th using this code: PROVENCE25 to get a generous 25% discount. Thank you, Virginia! 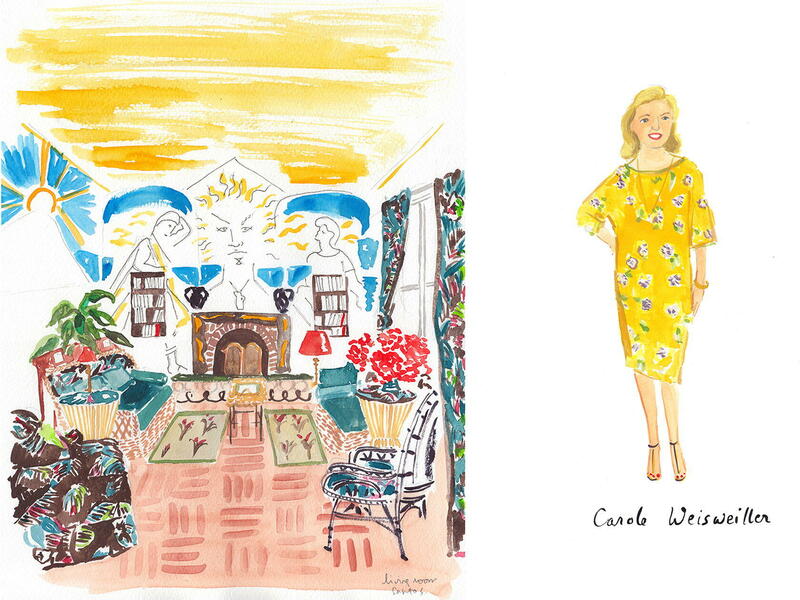 Follow Virginia’s colourful Instagram feed to see her designs in action. Sign-up for her mailing list to get the latest updates from Virginia Johnson designs.